When you play the organ, you usually don’t own your own instrument. You have to go somewhere to play and even to practice. So it’s natural to go out and try better and better instruments. It can lead one to the great cathedrals and concert halls of the world, if for no other reason than to hear what the organs sound like in person and to have the thrill of playing them. By 1985 I had toured Europe once already and was concertizing with some frequency along the US eastern seaboard. 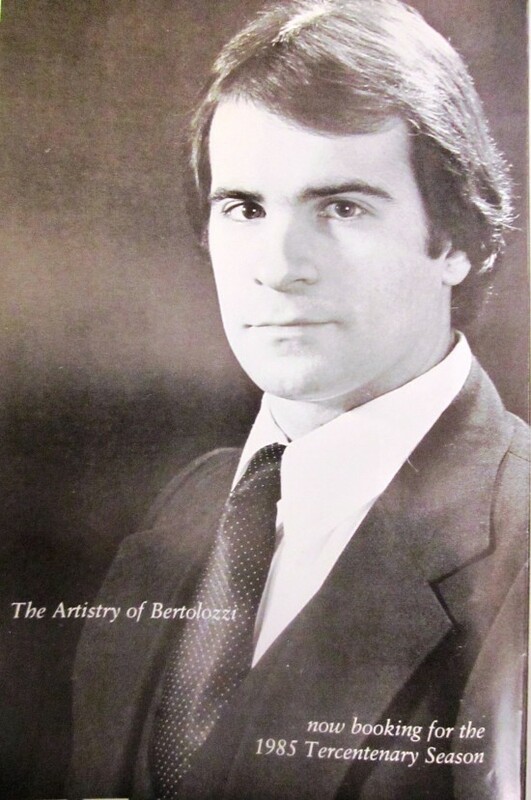 I decided that with the anniversaries of Bach, Scarlatti and Handel coming up in that year and the fact that Europe had declared 1985 to be the Year of European Music, there’d be ample opportunities to perform a second European tour. Though I prepared promotional materials including music from those three composers to cover all bases, I knew that the Bach/Handel angle was pretty much sewn up by the organists who play that music all the time anyway, regardless of an anniversary. 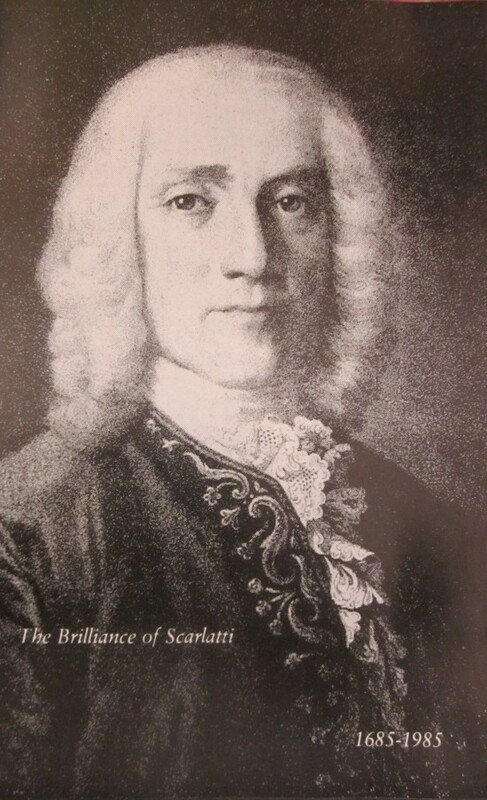 So I particularly focused on Scarlatti and a tour to Spain, Italy and Portugal, where he was active. Writing to all three cultural departments of the US Information Service in those countries, I heard back from Portugal in short order, and my tour was on! I went to Vassar College Music Library to research music by Portuguese composers that I could use to flesh out a program of Scarlatti/Bertolozzi compositions. I played through about a hundred sonatas and chose several nice pieces by Seixas and Carreira and a couple nice Spanish and Italian pieces by composers who would have been Scarlatti’s contemporaries. All of these works would fit nicely on the style of organs I’d be playing. 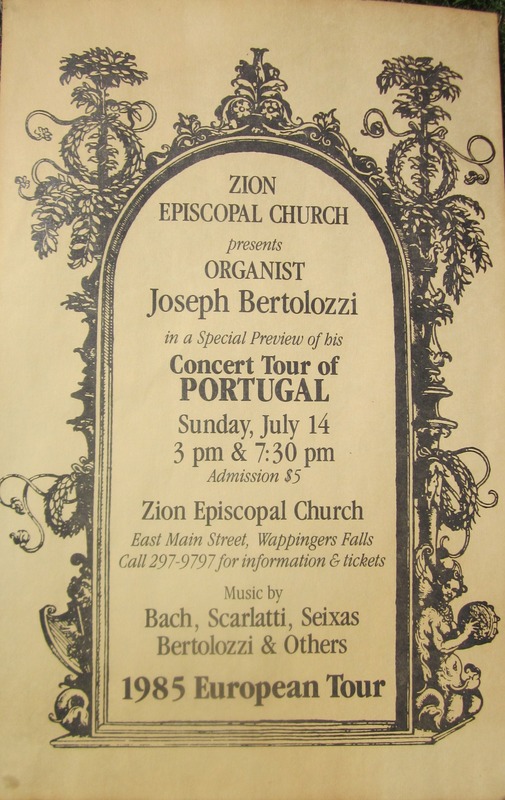 I organized a couple “shake down” preview concerts at Zion Episcopal Church in Wappingers Falls, NY before I left (that’s the poster above). 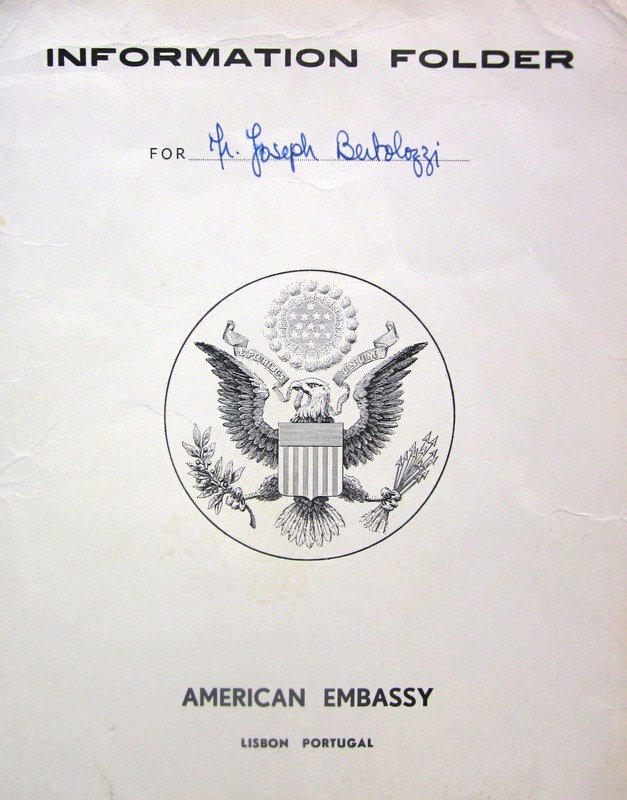 And with a careful reading of the information packet sent to me by Tammy Cazaleiro of the State Department, I was on my way! NOTE: The musical selections in this retrospective were all recorded live and in concert on the organs at the Cathedral of Évora. Though I recorded every organ at every concert, the Évora recordings yielded the best overall sound. These recordings appear in the Lisbon, Óbidos, Évora, Porto and Caldas Da Reinas chapters, and are meant to enliven the narrative and illustrate the typical classical Portuguese pipe organ, not as specific representations of all the other locations.